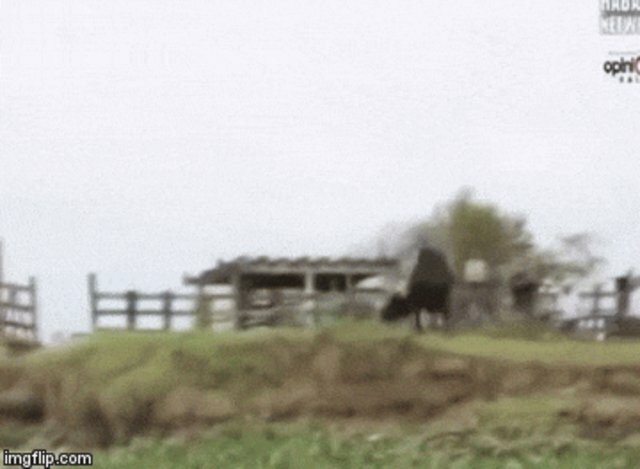 Every year, for a week, a pack of bulls is unleashed on a Mexican town. And the town is painted, literally, red. The religious celebration, called Fiesta de la Virgen de la Candelaria, takes place in many parts of South America, including the tiny town of Puno, Peru, where it's one of the biggest street festivals in the world. But no one celebrates it quite like Tlacotalpan, Mexico, where residents spend much of the week drinking boozy, homemade concoctions called "Toritos" before as many as 10 suitably agitated bulls are set free. Forcibly pumped full of booze, the bulls run a gauntlet of kicks and slaps, showered in bottles, pelted with stones. Their sole purpose, seemingly, is to suffer. "People cut off their ears, kick them," resident Norma Salomon told Reuters back in 2009. "There is a new rule that you are not supposed to touch the bulls but after so many 'toritos' it's hard to control." It's common for bulls to die during the festivities, frequently drowning during the climactic riverboat ride that drags the animals through the water. And, occasionally, a stray dog is even tied to the maddened bull. If they survive the festival, traumatized animals are rounded up and let out to pasture. Not much has changed since 2009, despite a growing chorus of protests from animal lovers worldwide. So far, more than 160,000 people have signed one of several online petitions. "This is another example of man's inhumanity to animals, which I simply can't get my head around," Dominic Dyer of Care for the Wild International said in a release. "Fiestas like this take place particularly in Spain and Mexico with the sole purpose seemingly for people to get their kicks by torturing and killing defenceless animals." 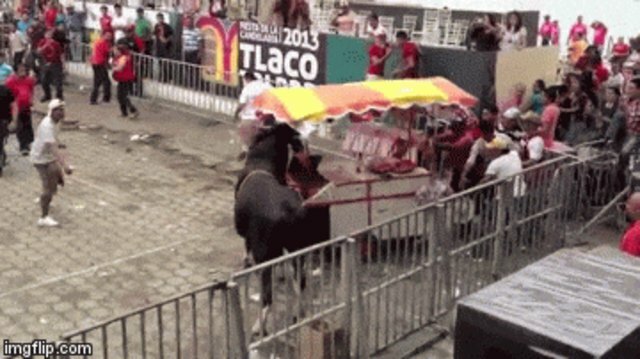 At last year's festival, a bull, as shown by a video posted to YouTube, "got even," knocking over what looks like a concession stand. It doesn't seem like much of a "get-even" for an animal who is obviously in a state of terror, surrounded and provoked constantly by revelers. Another video posted to YouTube depicts the chaos of last year's event: A bull is dragged down a slope, tumbling into the water where he thrashes helplessly. And it's that bloody time of the year once again. Tlacotalpan is poised to kick off it's dubious celebration on February 2. This black celebration needs to end. You can sign the online petition here. You can also support organizations that promote healthy tourism for animals such as Right Tourism.